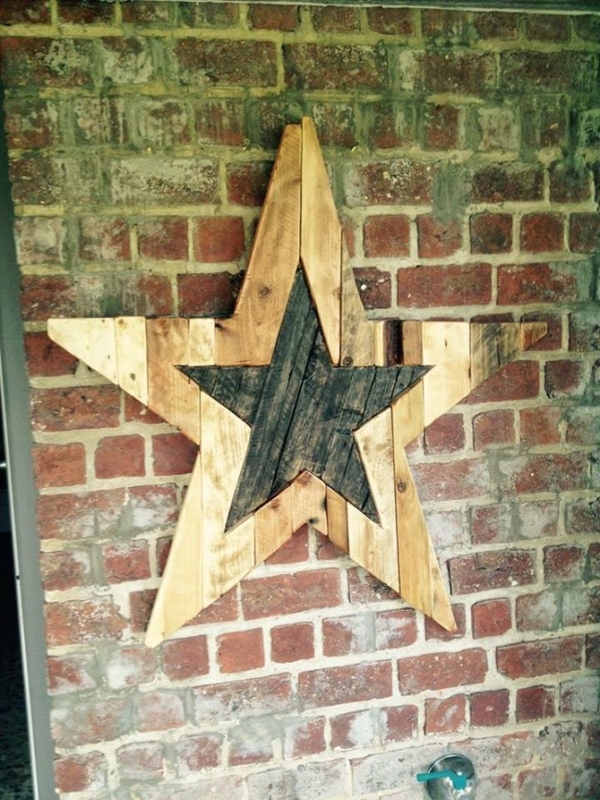 Ok, I think you guys have had enough of pallet wood creations that are practically being used in our daily lives. 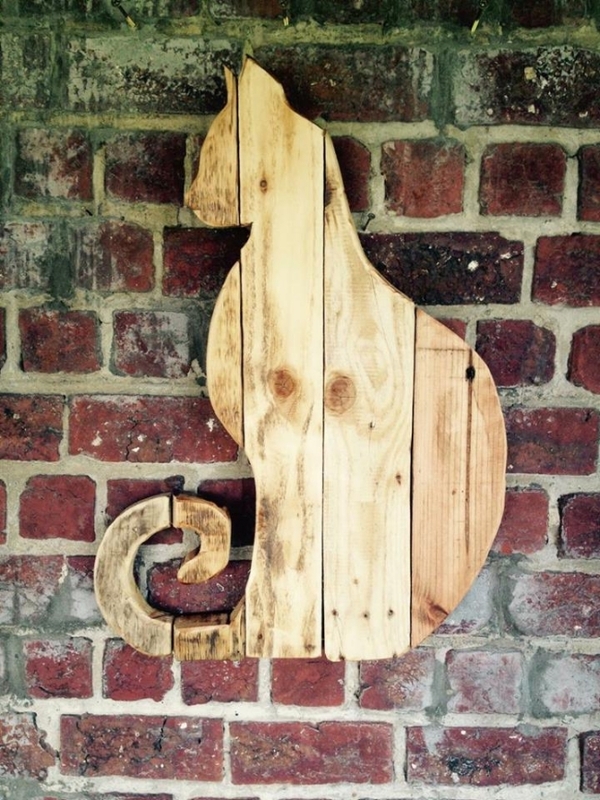 This time we have some plans to use the pallet wood in a different manner for something entirely different. 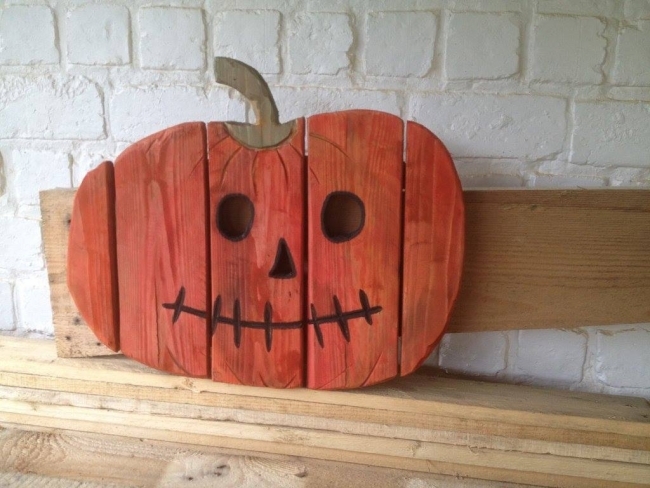 We have thought to recycle the pallet wood in making several caricatures and some art projects that could be used as embellishment of your outdoor and indoor as well. Many of the projects would prove to be a mood changer for you. 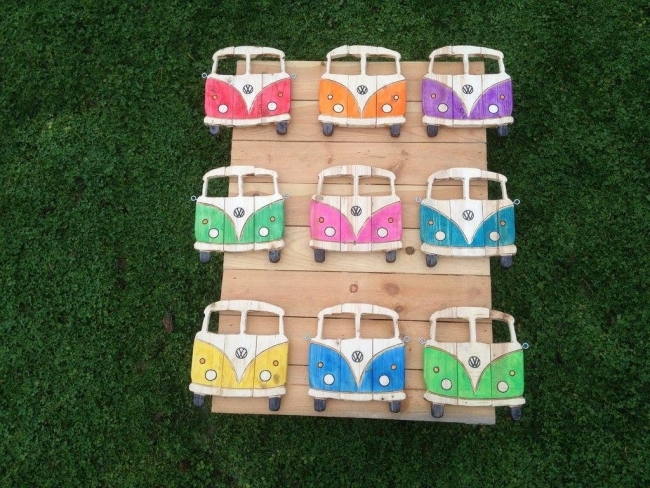 I would urge you guys to have a look on them, they would really fascinate you the way they are made with wood pallet. Hmmm… we are starting with this angry fellow, that is basically a caricature of a vegetable item that is quite famous especially in the Asian region for being used in various recipes. A big one is crushing the smaller one, meant to be an amusement. What about this cute little bird with a long beak, it is inviting you guys to come and see its beauty. Green leaf on the branch of a tree, this is actually a decoration piece that can be pasted on the wall. This would be a great artistic touch. And now come towards this feather. 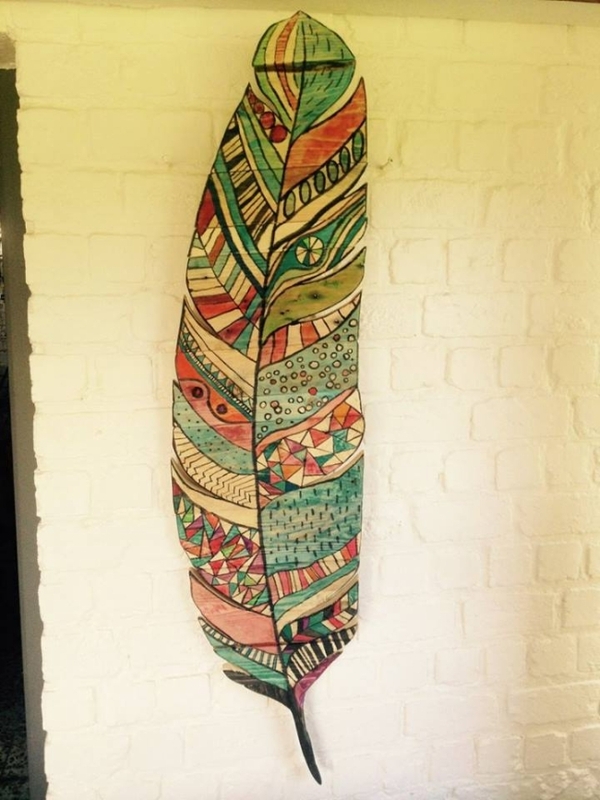 Feather in itself is a beauty, and when made with the recycled pallet wood, this becomes an excessive charm without any doubt. 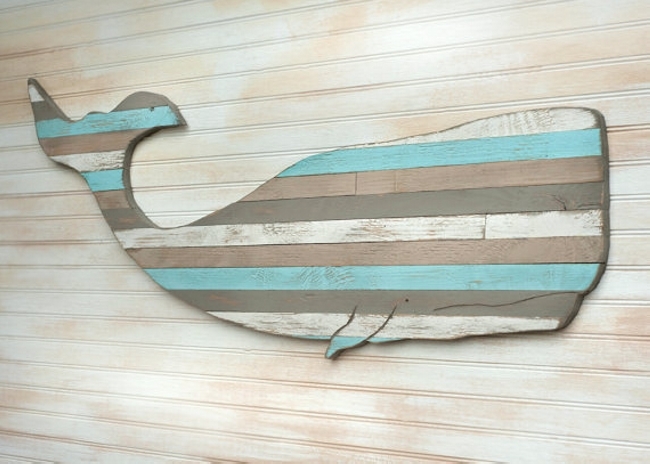 We actually cut and shaped the pallet wood plank in this shape and then drawn the print on it with art colors. 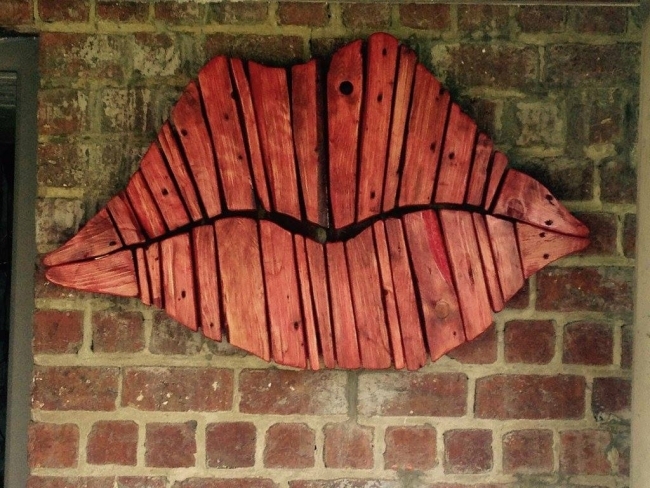 Wow, these pink rather red lips could be signboard on the front of a bar, really a great creative and artistic idea for you if you own a bar. This would drag the customers escalating their thirst for some extra time activities like having a peg or may be some entertainment. 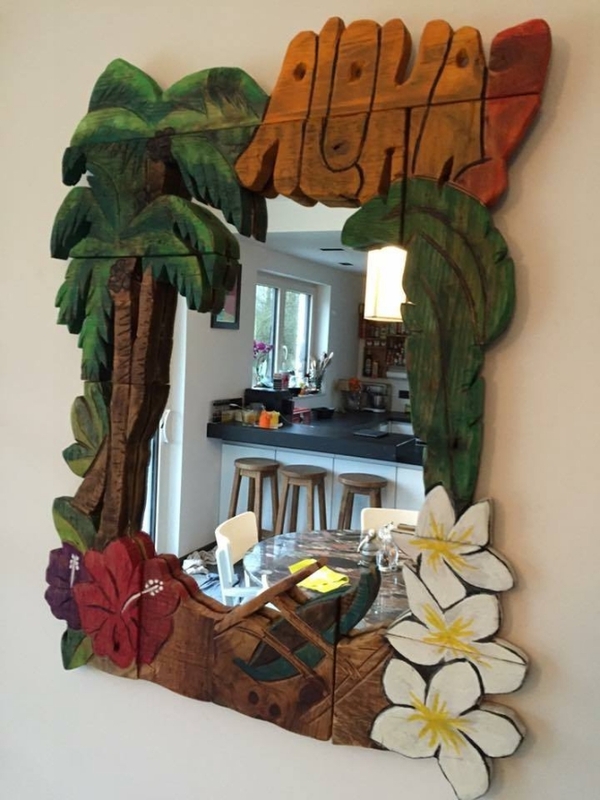 You could have used a plain mirror on your wall, but making it an artistic item is a charmer for all of your visitors. 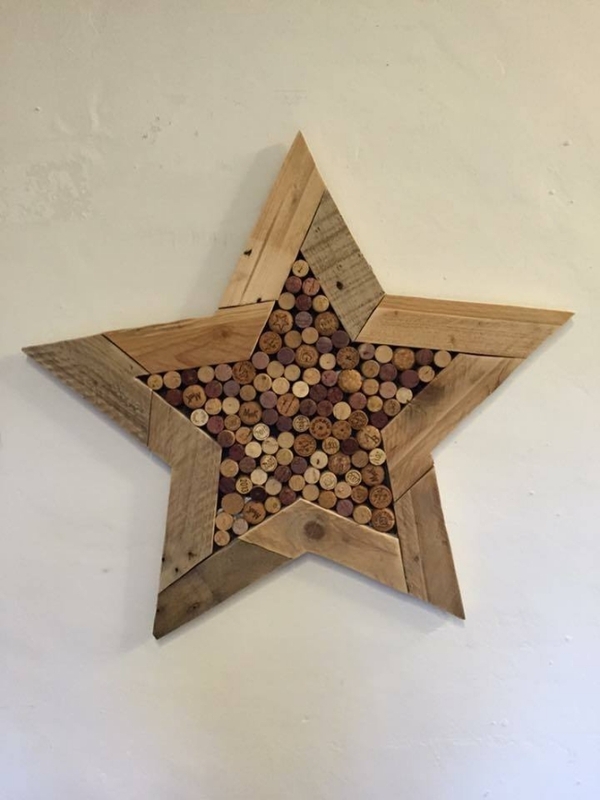 They would be enlightened with the beauty of this pallet wood art craft made using purely the pallet wood. This boogey man with a stitched mouth say it all to you. This could have been the worst nightmare if displayed in a horror movie but we are not interested in making you scared rather to please you. 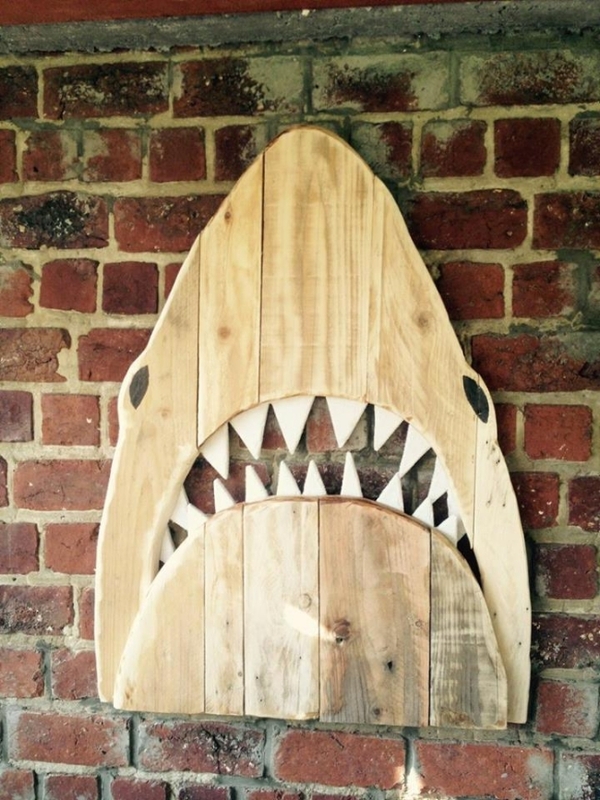 Made with some cut and shaped pallet wood planks that are stained and carved with extreme expertise. 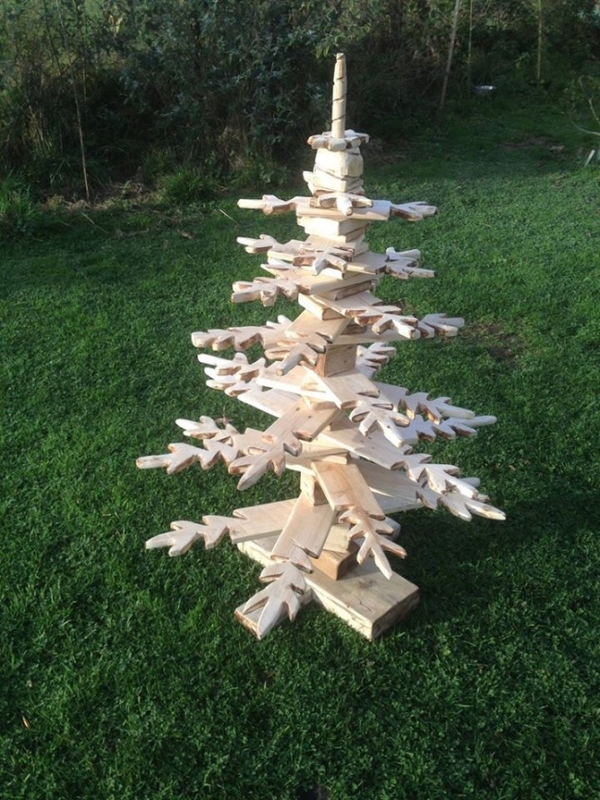 Don’t take it as a Christmas tree though you can also use it as the one, but here we planned to recycle it purely with the intent to make it look like a garden décor idea. 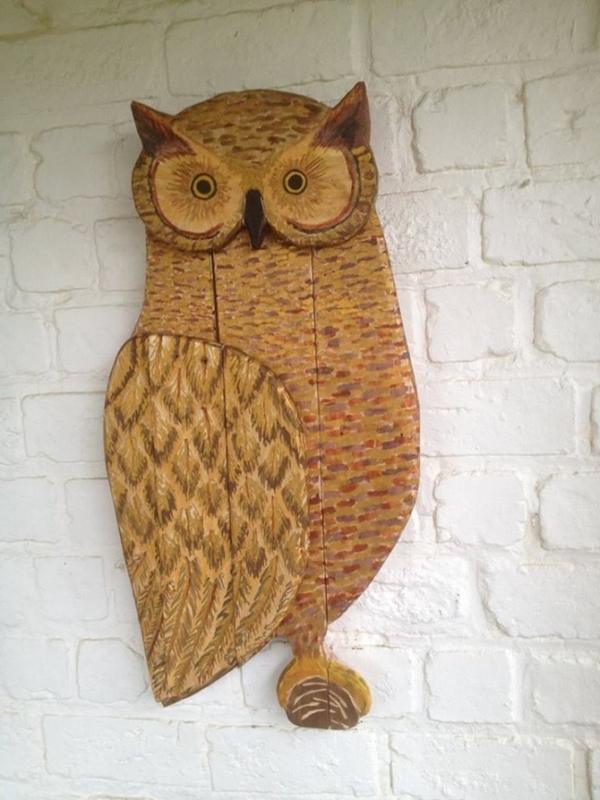 You can always use such wooden embellishments to make your green landscape a heaven stuffed with art pieces. Having a glimpse of this art project might give you chills and plenty of confusion. Figuring out that what exactly it is, would be on your part. 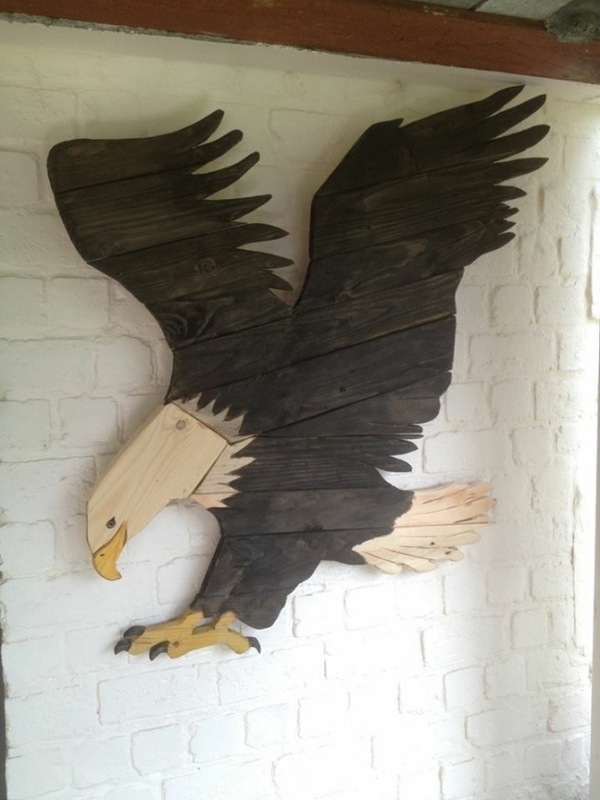 We are here to let you know that this is all the creation of pallet wood. A bit of silhouette art work is done on the project. Awww… this cute mail box is simply love. This should always be carrying some letters from your parents or some other loved ones because leaving it empty would disgust the art applied on this wooden beauty. Despite of rough pattern it still makes a perfect art craft. 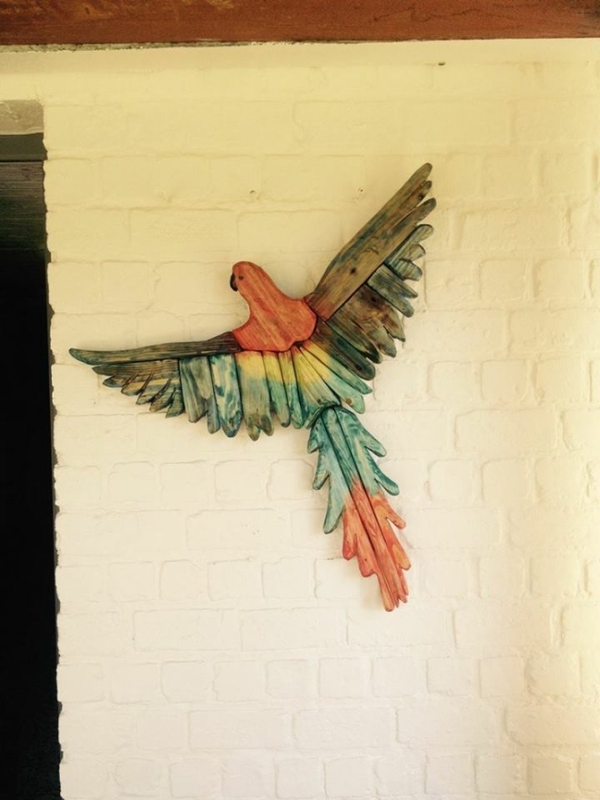 Now have a look on this start carved out of the pallet wood. 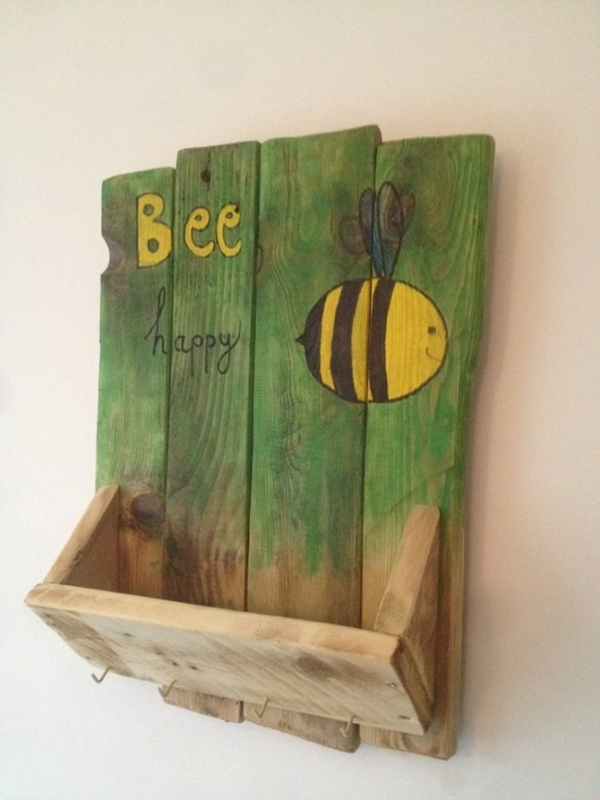 Well, this is genuinely the work of some pallet wood fanatic who is very well tamed and versed in the pallet wood repurposing, a bit confusing for the beginners but still worth giving a try to it. 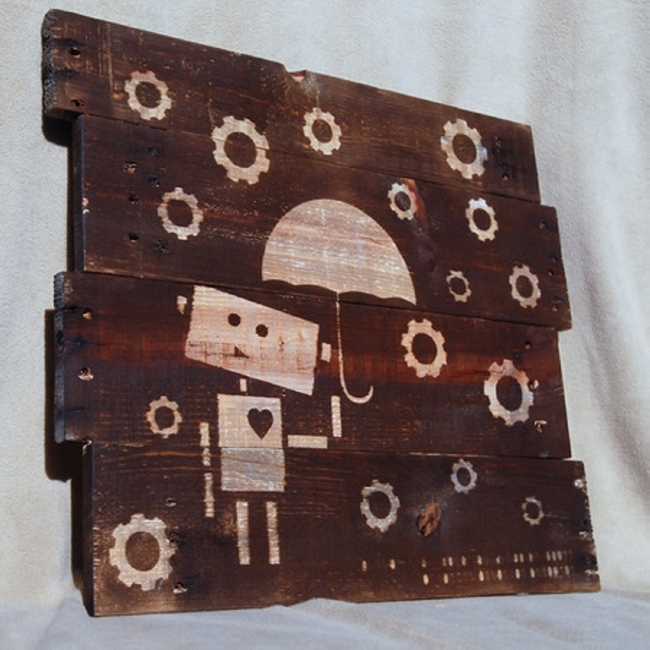 If you are left with some most deteriorated and broken pallets and they are not at all in a condition to be used in some fine pallet wood creations, you can give it an artistic touch by turning it into such a wall art idea where we have drawn certain shapes and designs to make it look like a wall scenery. 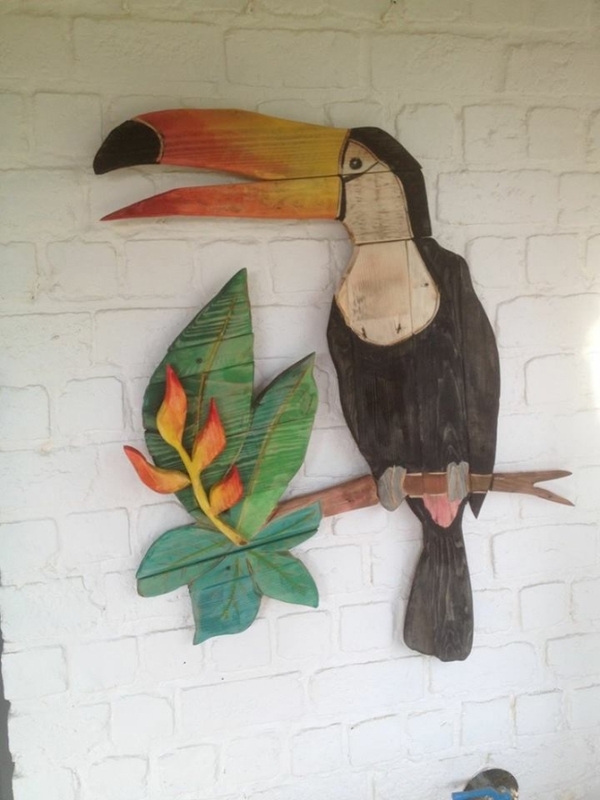 Now again this uneven undefined and unclear pallet wood caricature might leave you in sheer confusion, but instead of going into the details just have a glimpse of the art project itself. 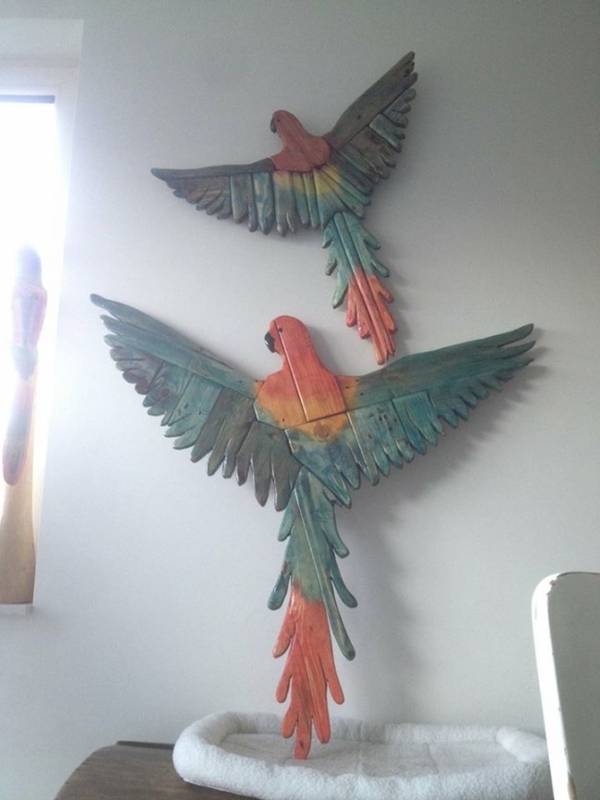 I think it looks pretty amazing while being used as artistic wall item. Never in your life would you have seen such a colorful parrot with so multi colored wings. Yeah you are free to admire, this is actually the brain child of one of our fellow members who is literally in love with art creations. And now this cunning cat sitting upfront with her long tail out is literally staring at you and asking for some leftover food or may be milk, an indirect message for all of you to always show some compassion to all the creatures of GOD. Eagle has always been my favorite bird, infact an inspiration for the strugglers as it flies pretty high in the sky and it never gives up. 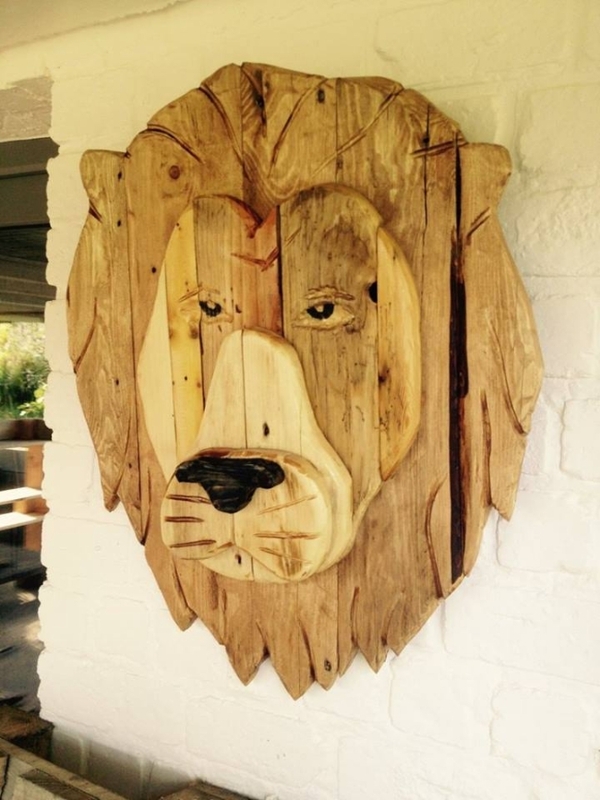 It grabs its prey in a blink of eye, but right now we are concerned with the way it is beautifully made with the pallet wood. All the kids like elephants, they keep asking you to take them to the zoo to see their buddy. 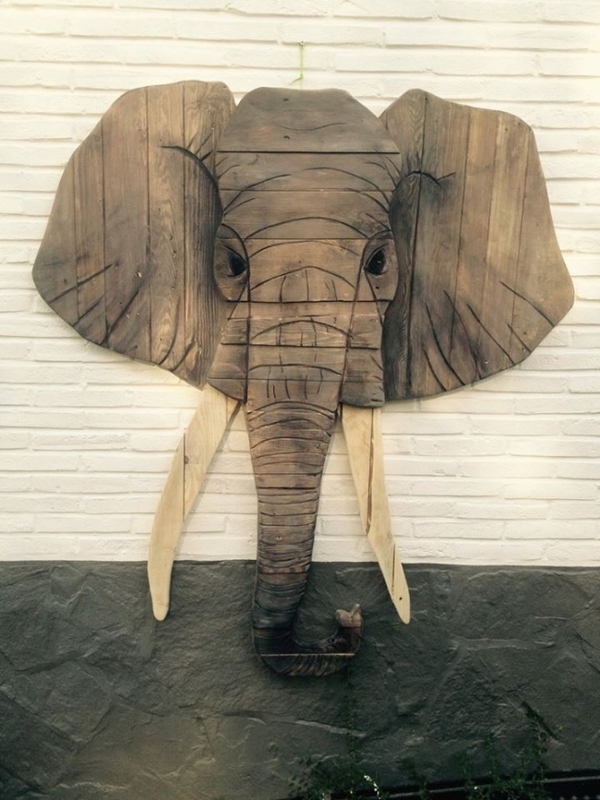 So if you can’t buy a real one for them, atleast bring them this pallet wood repurposed caricature of the elephant just to amuse them. I think they would adore it. Whales and sharks aren’t that easy to be tamed and kept as pet at home. 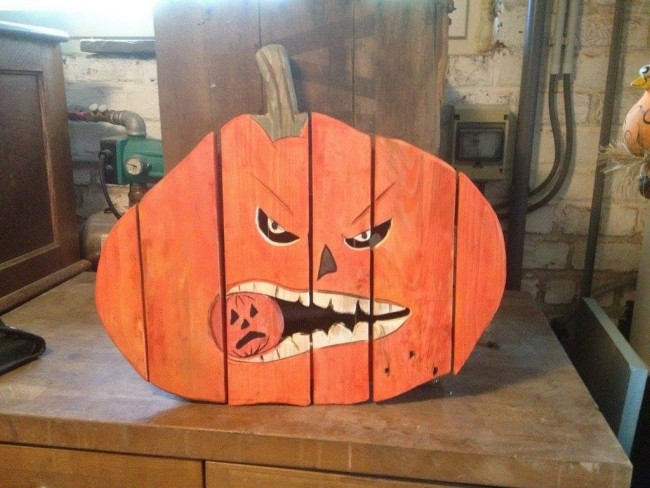 Infact this is a symbol of horror and brutality near me, though this always scared me whenever I came across this pallet wood art piece, but we thought it still could be a charm for any of you. Don’t ever underestimate this pretty bird. Though this is used as a symbol of foolishness, but still this is one of the prettiest creations of the GOD. 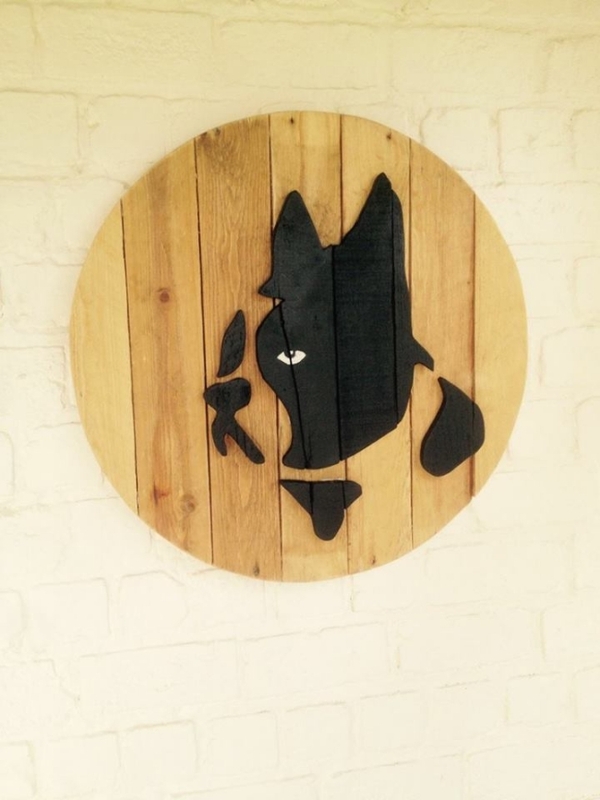 we also tried our level best to give it a perfect artistic shape using the shipping pallet wood, I hope we did it.